The Galaxy Note 4 is svelte, gorgeous, and powerful. And we want it now. 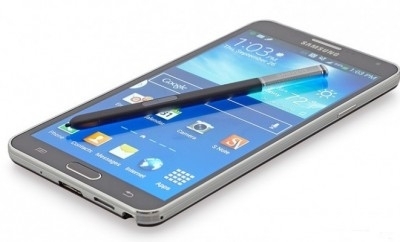 The Samsung Galaxy Note 4 is here, and it's a fabulous little piece of equipment. With that said, it should be fairly obvious that we want to get our grubby little paws on it, but why? What does it have that we need so, so badly? Easy! Here are five reasons we want this titillating new piece of technology, and we surmise they might indeed match your reasons as well. The Note 4 boasts a 16 MP rear camera and a front-facing camera that Samsung claims is made especially for taking "selfies," the photos that everyone loves to hate. But whether we want to admit it or not, the improved camera specs make it perfect for populating Facebook with what we're doing during the day and more. 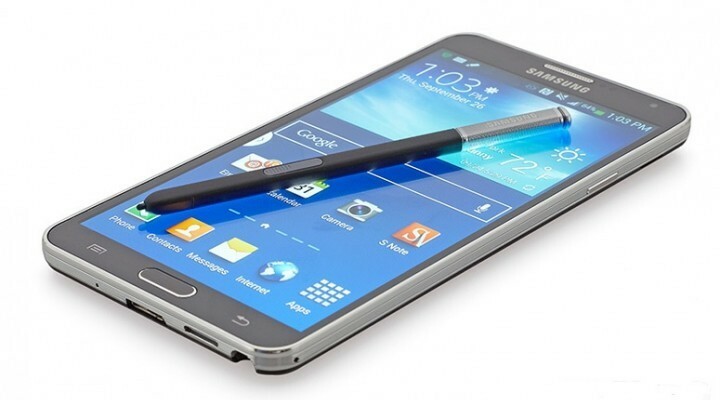 The Note 4's pen-stylus and software allow for improved controls and possible tactile control options for popular games in the future, and the 5.7-inch quad high-definition Super Amoled 2.5D curved glass screen mean we're going to see things as crystal clear as possible, so the gibbing is just as realistic as it should be, and the candies are being crushed in super high definition. With a fast charging mode that allows users to charge the battery from 0 to 50% in 30 minutes, the Note 4 is exemplary of the type of phablet you want with you at all times, so when you're on a trip or fresh off the plane with low battery, you can plug in and go quicker than ever, especially for this type of phone with a large, bright screen and processing power. The Note 4 didn't get its name from simply having a large screen -- it's also got plenty of power to take notes the way that makes sense in your life, with the "Snap Note" feature, which allows you to take a picture of a note, and then edit it. If you're in class and need to edit notes on the board or even on an overhead projector, this will be an invaluable feature, not to mention the stylus, which makes navigation and using your own handwriting a breeze. You hear that, Apple? There's just a whole lot more screen real estate here compared to the upcoming iPhone 6, and with a focus on gaming, productivity, and stylus use, that's definitely going to be a boon for Android users. How are you going to win us over the rest of the way?